Driving a Rolls Royce is often associated with a life of luxury. But what can be more luxurious than a life with not one, but two cuddly cats? 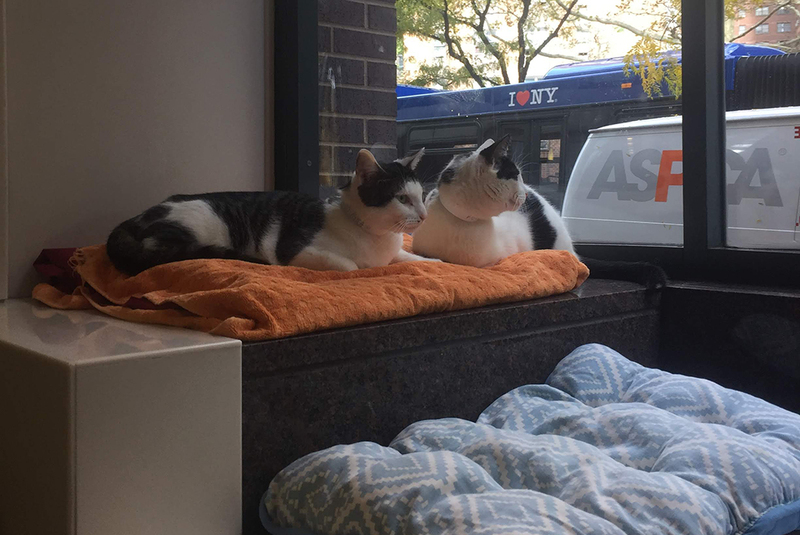 Juliet J. visited the ASPCA Adoption Center in November 2018 with plans to adopt a little feline friend. Having grown up with kitties, she thought it was time to adopt one of her own. She arrived early and while waiting patiently, she was kept entertained by two cats who watched her and played in the window. Rolls and Royce were the playful pair Juliet had seen that day. The two had been surrendered to the adoption center by their previous owner who could no longer afford to care for them. Upon intake, the sweet pair were found to be very bonded to each other—they loved to sleep, eat and play together and were never far apart from each other. 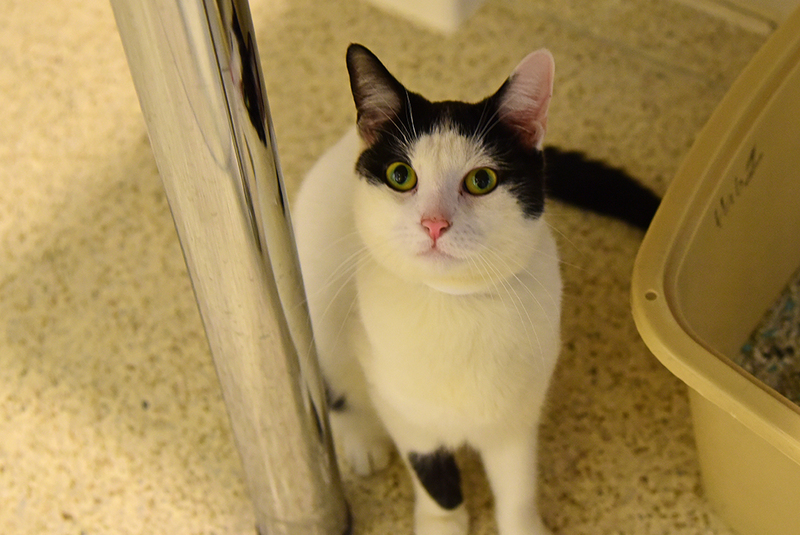 “Bonded pairs of cats can sometimes take a little longer to get adopted because most people coming to the shelter are interested in adopting just one cat. 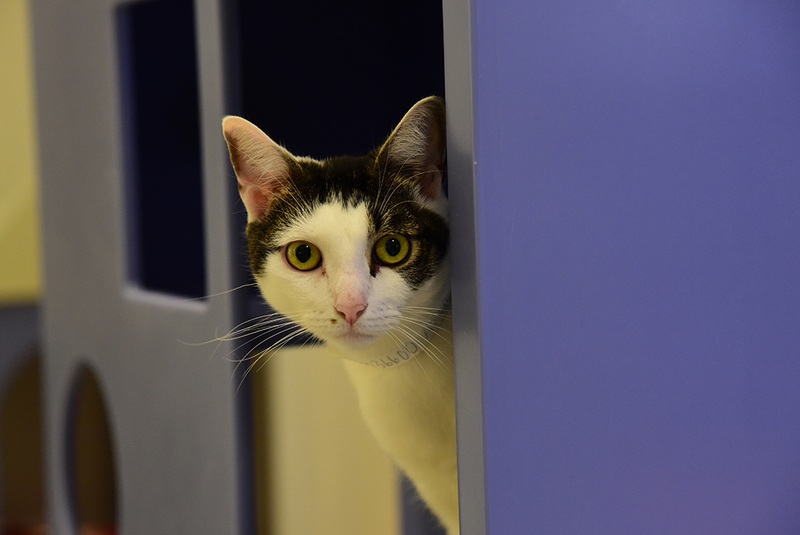 But bonded pairs can be a great choice for people who want their cats to have some company of the feline variety,” says Adi Hovav, Behavior Manager at the Adoption Center. Juliet had fallen for the spirited boys, and made the adoption official the same day she met them. 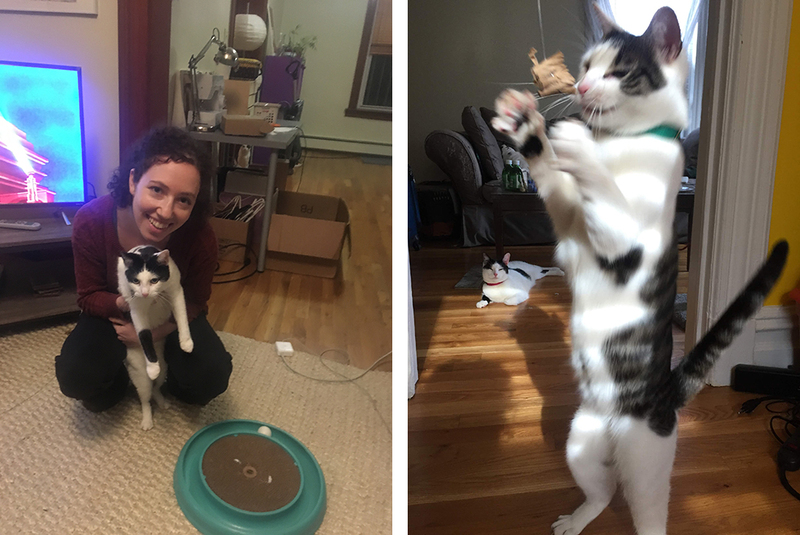 Rolls and Royce—now named Benny and Basil—have settled well into their new home with Juliet. Despite their obvious likeness in the looks department, they have shown their new pet parent that they each have unique personalities. Benny and Basil do have some common interests, though! They both love to be pet and snooze the days away, but they equally love to play around. Benny and Basil are constantly making their new mom laugh with their antics. 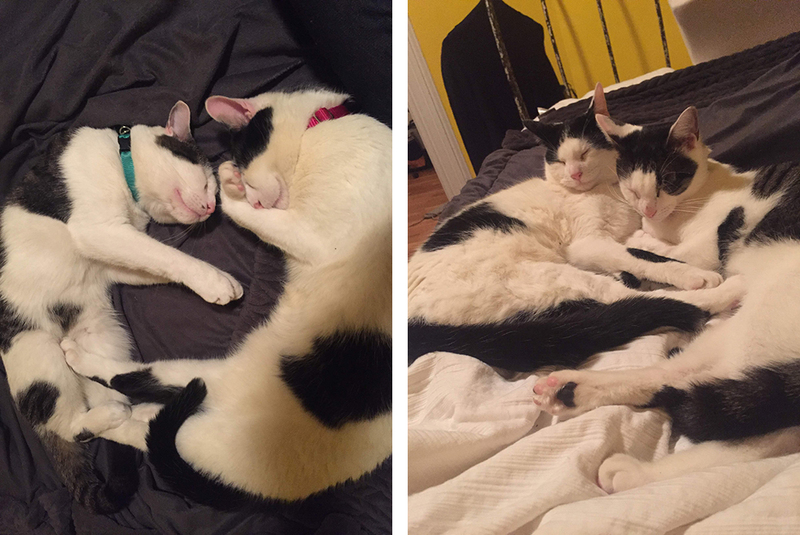 Whether it’s just laying on top of each other, or running around their new home, these adopted brothers are still as entertaining as when Juliet first laid eyes on them—maybe even more so now! “Life is better than I could have imagined!” Juliet says.